Here at Ace Print we offer a wide range of lamination and finishing options. When most people think of lamination what they actually think about is encapsulation, the hard plastic coated with the clear edges around the sides, true lamination is much subtler and far more effective. True print lamination merely coated the surface of your print in a thin layer of light material that changes both the look and feel of your print. It also helps by adding an extra layer of protection to the cards so that your printing can last as long as possible. Glass lamination is perhaps the most popular of the lamination options. This high gloss finish will reflect natural light in a way that’s very pleasing to look at making it ideal for posters and photos. It’s also a great finish to use on flyers, the covers of booklets, or greetings cards. It’s that one extra step that really makes your print shine. Matt lamination has a really nice look to it with the matt finish giving it a classy and sophisticated look. Matt lamination also feels very nice, when combined with the look of the finish it is perfect for restaurant menus or business cards. Soft touch lamination is the third form of lamination we offer and it’s by far our favourite. It has that forever classic look of matt lamination with an added luxurious soft feel that really has to be felt to be believed. It’s particularly nice when used on things that will be handled a lot, like booklet covers, or when you want to make a good impressions. Handing over a business card with sort touch lamination means you’ll give them something that not only looks good but feels good. So if you need any printing with the great look and feel that the various types of lamination can offer than please contact us today and let us know how we can help you. We offer large scale banner printing through our sister company Smart Signs, we operate out of the same building so you can get all of your printing from one place. If you are a business looking for an effective and affordable way to advertise an aspect of your business, like a time limited sale, then you can’t beat our top quality banners. They are suitable for all weather meaning that if you wish to hang them outside to draw in customers, or leave them inside to drive home a message, you have that option. Each banner has multiple metal eyelets to give ultimate flexibility in where you hang it. The printed banners also last quite a long time, we have multiple clients that have regular seasonal banners they roll out each year and only replace when they want to update certain information. Bright, colourful printed banners grab attention and draw the eyes. That’s why we offer a full design service to help maximise the impact of your banner. Our dedicated design team has years of combined experience they can utilise to make your banner printing turn out the best it possibly can. We know some people like to do their own design and as long as you follow our artwork guidelines we’re more than happy to print whatever you design. We offer a full banner printing service and you can use any part of that service you like. One question we get asked a lot is what size banners we print, well the answer is simple. We can print any size banner you can think of. When we say our banner printing is custom we really mean it. We’re not forcing you to fit into a template or a pre-existing size. All of our banners are custom made to the precise size you need. Whether it’s 10 feet wide or 10 inches wide we can create a banner that suits your needs. Wind can be a factor with printed banners if you’re hanging it across an open area. Luckily for you we have a solution with our mesh banners. You get the same great quality printing as you do on our regular banners but with the advantage of a mesh material that allows the air to pass through and reduces wind drag. These banners can also be made to any size so they are a great custom solution to the problem of hanging signage in areas of high wind. If you would like to find out more about our banner print service please feel free to use the Ace Print contact details or alternatively contact Smart Signs directly. They can be reached using the details below. Weddings are brilliant, anyone who says otherwise is a miser, and that’s why you need to share some of this brilliance with our custom laser cut wedding invitations. There are a lot of designs to choose from with some basic print but the way to take that to the next level is with completely personalised laser cutting. A great way to make you invitations more unique. These patterns add an extra dimensions to a card that already has our high quality print. You can have something traditionally floral and abstract or stick to a theme. It can be incredibly complex and highly detailed or you can keep it simple. A basic image cut out along with cut text. The choice is yours and that’s the benefit you get. A lot of people who produce laser cut wedding invitations have templates that you need to stick to but we can do anything you like. The only limit is your imagination. 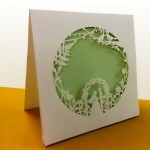 You may think that you’re limited to basic white paper with laser cutting but that couldn’t be further from the truth. We have a number of paper types that are well suited to being cut and can really help elevate your invitations to the next level. If you have something particular in mind just let us know and we’ll try our best to match it, alternatively we have a large number of swatches for the more specialised papers so it might be best to pop in a take a look for yourself. You can see how different types of paper look that that’s very different to the feel of them. There is an inherent quality about certain papers that makes them feel special, that’s why we encourage people to drop in and take a look for themselves. Obviously with the cut elements you still get our top quality print. With your guidance our designers can craft something that will be truly unique, the cut elements and the print will be in harmony with a unified theme. 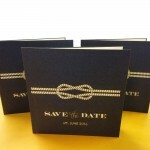 This extends further if you also choose to get your other wedding stationary from Ace Print. We can provide place names, RSVPs, order of service cards, thank you cards, and anything else you can think of. Not only do you keep these items within the same theme, make use of the same materials, and have the option of laser cutting, but you save money when you order multiple items together. 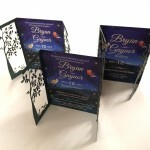 To find our more about our laser cut wedding invitations we invite you to drop by our store, alternatively please feel free to send an email to info@aceprint.org.uk or call 01924 261 154. 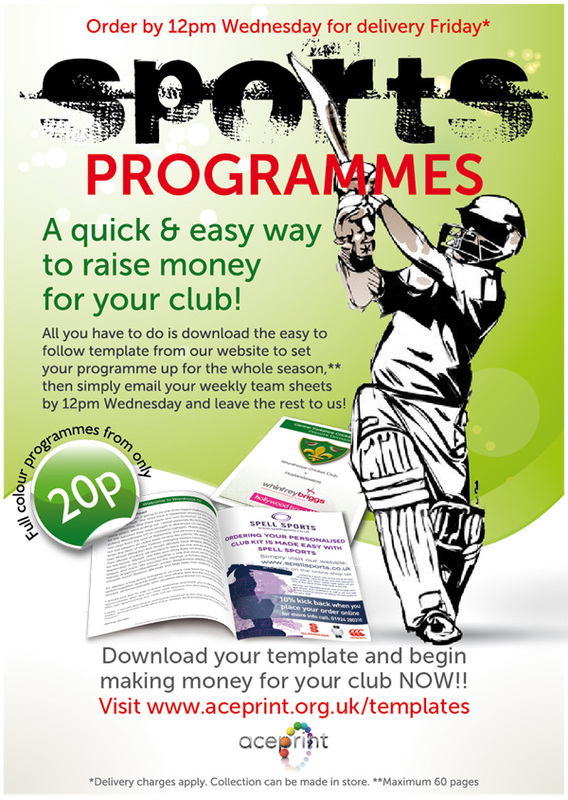 Cricket Programmes: Raising Money For Your Club! With the encroaching cricket season you may be asking yourself one very vital question, where on Earth will I find someone to print my sports programmes? We can provide full colour printed programmes from as low as 20p per book. It couldn’t be simpler. The programmes we provide are a quick and easy way to raise money for you club with little hassle on your end. We provide you with an easy to follow template, found here, that once downloaded you can use to setup your programme in no time at all. You can setup your programme for the whole season, swap out the bits that change on a weekly basis, and then if you e-mail your team sheets to us by 12pm Wednesday we can have them back to Friday; delivery charges may apply but you can also collect them in store. We’ve printed programmes for many cricket clubs in Ossett, Wakefield, and Leeds to great success so we’d like to do the same for you. To find out more, or to place an order, please feel free to use the contact form or get in touch via email at info@aceprint.org.uk or by phone on 01924 261 154. As a way to celebrate the new year we’ve decided to create a very special offer just for you! 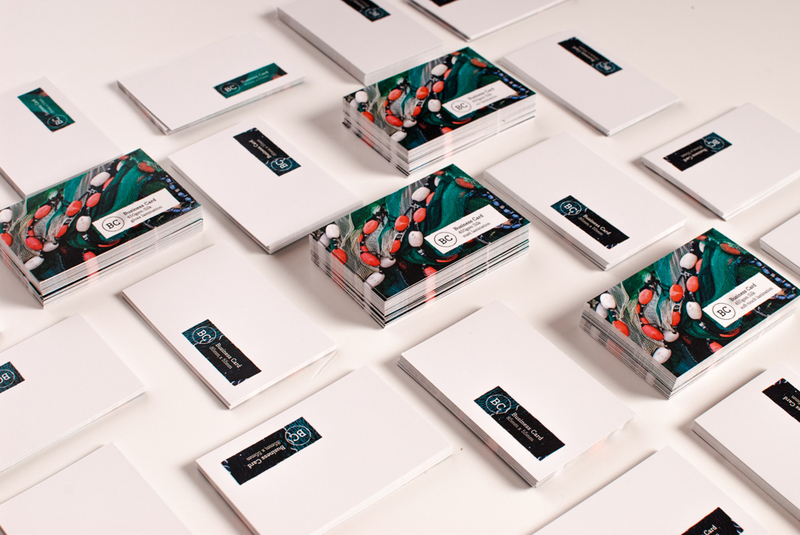 When you purchase at least 500 letterheads we’ll give you 100 business cards absolutely free, just don’t forget to mention this deal when placing your order. We like to view this as a way to generously bring in the new year showing our current customers how much we care and hopefully enticing in a few new ones while we’re at it. With the year ending and a new beginning you might find your current print supplies dwindling. This is a great way to stock up for the new year and if we’ve printed for you before turn around time should be very quick. Perhaps in the new year you’re looking to change print suppliers or your forming a new business? This is a great way to get started out with printing for your business or if you want to give us a try before placing larger orders. Rest assured we always print on good quality paper to a very exacting standard. If you provide the artwork our turnaround times are pretty quick but don’t forget as always we have a dedicated design team ready and able to produce high quality professional designs to your specifications. To place your order today, or for more information, please feel free to contact us by e-mail at info@aceprintwakefield.co.uk or by phone on 01924 261 154.